Lola, Baby Girl, and Violet would like to wish everyone a Merry Christmas and Happy Holidays. You’ll notice that you can see Violet’s surgery site, but she is doing so much better. I’ll freely admit to it. I back date my blogs because I am usually so far behind that I am perpetually playing catch up. I am sure that it is perfectly fine to just leave the post date as to whenever you actually wrote & uploaded your photos, but I just can’t do it. If I had photos from an event, but a post from a different day, I would just confuse myself. So I have spent the weekend back blogging about 10 posts. The sad thing is that I am not even finished, so if you see posts randomly show up, that’s me-not you! 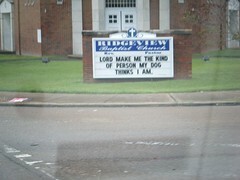 As seen at the Ridgveview Baptist Church at the intersection of Moore Rd and Brainerd Rd. Tony Papa, Jr: Born March 2, 1911 in Italy, immigrated to the United States in 1922. I have tried to find out Mr. Papa’s real first name and I keep getting conflicting stories from him and the family. It is quiet the debate! 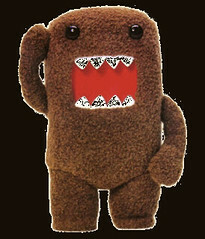 Either way, he is known as Mr. Papa, Granddaddy, Great Granddaddy, or Papa Papa (as I refer to him). He is my husband’s paternal Grandfather. We celebrated Mr. Papa’s 98th Birthday with a brunch at the Broad Street Grill. Of course, we ate and Mr. Papa talked about some of the downtown buildings that he remembered from growing up, the many business ventures he’s had, and how much things have changed in his 98 years. He still manages his own rental property and surfs the net on a regular basis. If you can say anything about Mr. Papa, it is that his mind is still sharp as a tack; nothing slips past him! 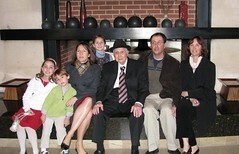 Wow, how great it must be to celebrate 98 years of life with three of your grandchildren and your 3 great grandchildren! Wishing you many more years of health and prosperity. 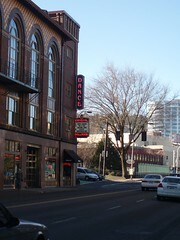 Sorry, but I can not think or say Portland without thinking of this song. For some reason, it reminds me of the ol’ west movies & images of a saloon. Pugsley. I am dedicating a whole blog to Pugsley because he deserves it. 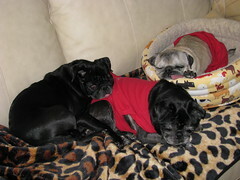 Pugsley was a pug we helped foster in 2006. Some background on him: a lady saw an ad in the local paper for a free pug and something just did not sit right with her. She drove to NW GA only to find an emaciate pug who had been abandoned in a backyard when his breeder/owner moved to FL and left him to fend for himself. This Good Samaritan took him to her house and got him cleaned up, but quickly realized he was sick. She contacted SEPRA to surrender him into rescue. At the time, I had never seen such a sickly pug. Pugsley was so skinny, mouth full of rotten teeth and coughing constantly. Sadly, he was HW+ and completed his Heartworm treatment with us. Although Pugsley was estimated to be about 10 years old, he had the demeanor and life of a much younger pug. Pugsley stayed with us for about 6 months and then went to another foster home to fully recover and start on his path to be the pug he was always meant to be. Although Pugsley’s beginnings may have been humble, he has sure made up for it. 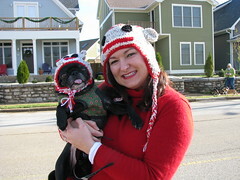 In 2007, Pugsley was adopted by the best mom a pug could ever hope for-Sharon! Not only is she a caring person, but she has a doggie bakery! Yes, the pug that was once deprived of food and shelter now gets to live the ultimate life of making sure all cookies are baked to perfection. When his mom held Pugsley in her arms, you could just see how much she loved him! He is a true treasure! 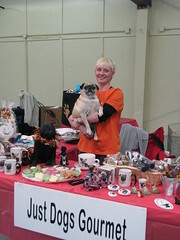 His mom and grandmother had a vendor booth at Pugfest with their delicious treats and pug items from Just Dogs Gourmet. His mom generously donated items for the silent auction to help raise funds for SEPRA. A big thanks to Sharon for not only giving Pugsley a wonderful home, but for supporting SEPRA. If you are ever in the Fayetteville, GA area, please stop in to meet Sharon, to get some treats for your canine companion, and hopefully you will get to see the infamous Pugsley hard at work! Just Dogs! 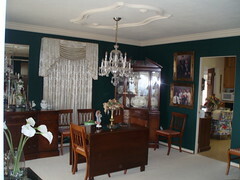 Gourmet is located at 840 Glynn Street South, Suite 368, in the Summit Point shopping center in Fayetteville, GA 30214. 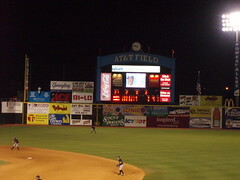 Hours of operation are 10 a.m. to 7 p.m., Monday through Saturday. For more information, call 770-460-4808.